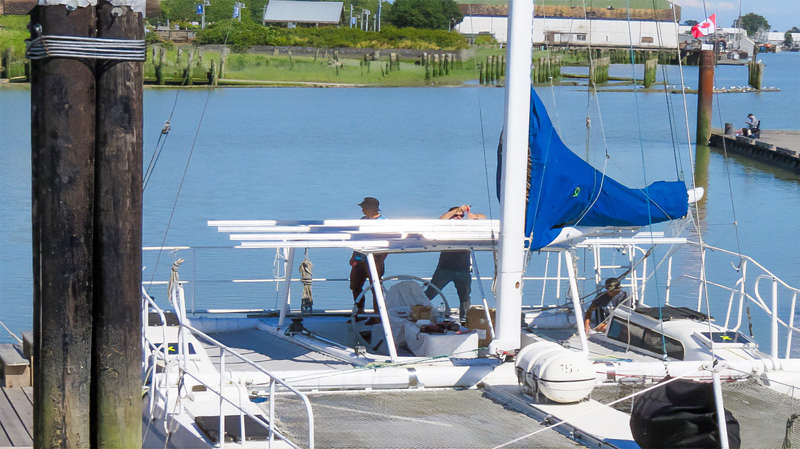 To help demonstrate that renewable energy is a viable solution to fossil fuels. 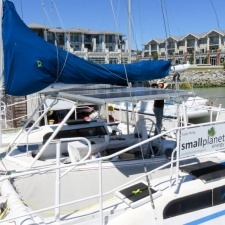 Small Planet is proud to be part of the Aerial Sea project. 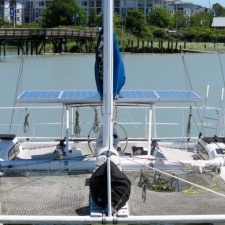 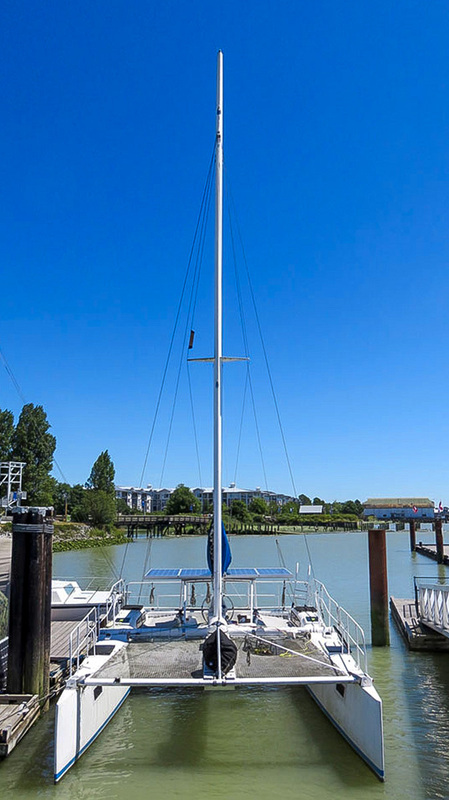 This is a catamaran that had been converted to solar to show what is possible with solar energy while embarking on a tour of the Salish Sea. 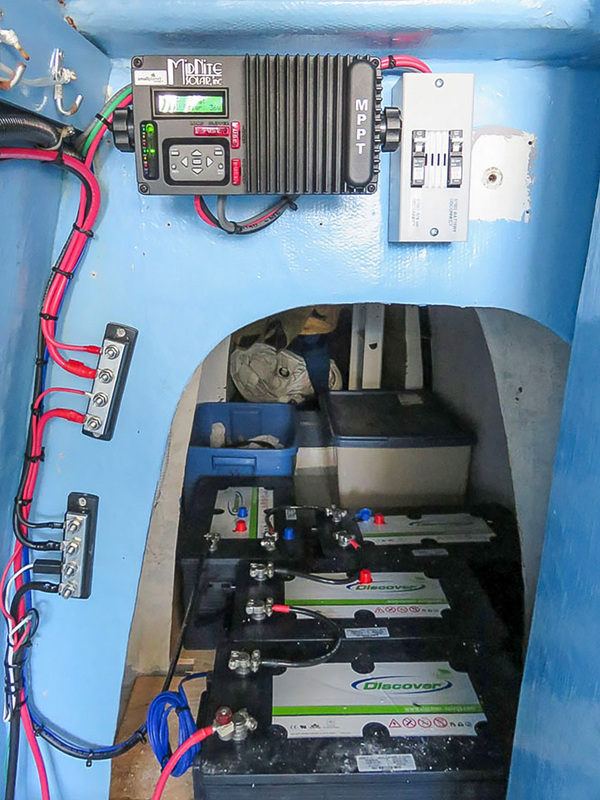 It has been fitted with a 48 volt AGM(maintenance free) battery bank in each hull to power the 4kw Torqeedo electric motors. 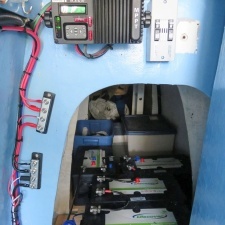 Each of these 4kw motors puts out more power than a 9.9 hp gas motor. 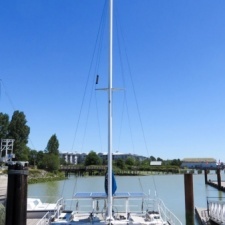 On the roof of the cockpit there are four 305 watt solar modules. 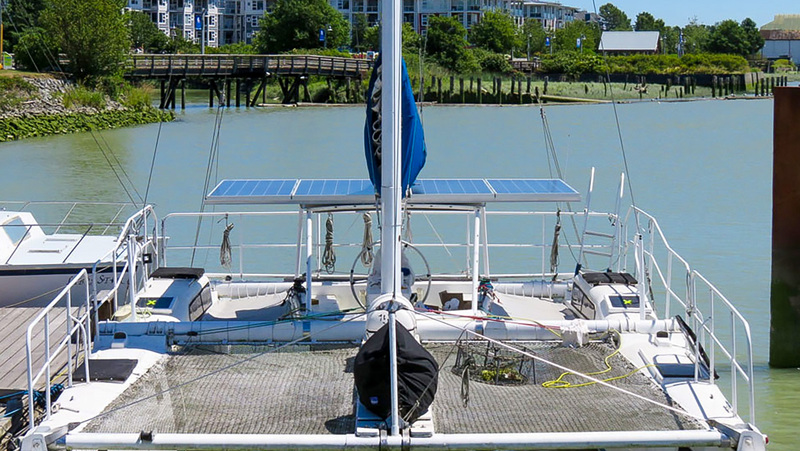 Two modules are wired to one solar charge controller per hull giving the vessel two independent solar power systems. 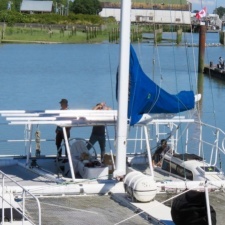 With 600 watts per motor, the Aerial Sea can travel at 15% throttle without using any of the power stored in the batteries. 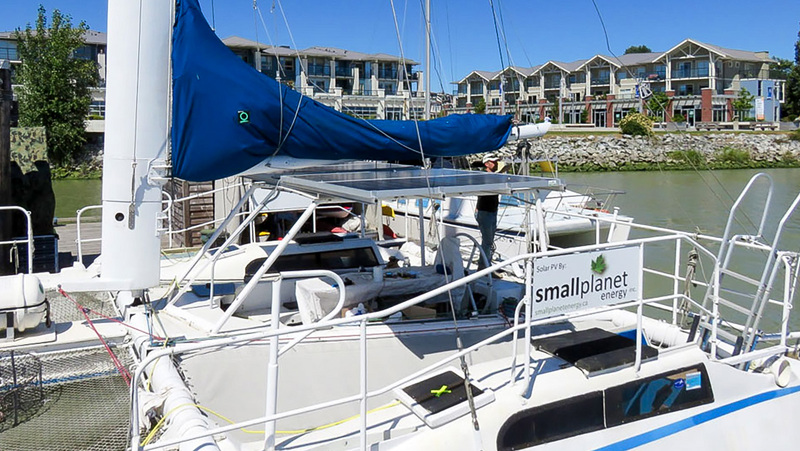 The tour consists of stops in North Vancouver, Granville Island, Steveston, Salt Spring Island, Pender Island and Victoria, all without the use of any shore power… completely fossil fuel free!